What could be more exciting than living in a home that is brand new? How thrilling it is to be the first to cross the threshold and dwell in a place that none have called home before you, surrounded by all fresh paint, gleaming floors and brand new systems. The blank canvas is yours alone to customize as you like, and then fill with events and memories of your making. Beyond the obvious feeling of emotional satisfaction of living in a new home, there are very tangible practical reasons to purchase one. Modern building practices provide greater efficiency than older homes, and new appliances mean you will enjoy years of service and comfort before needing maintenance. 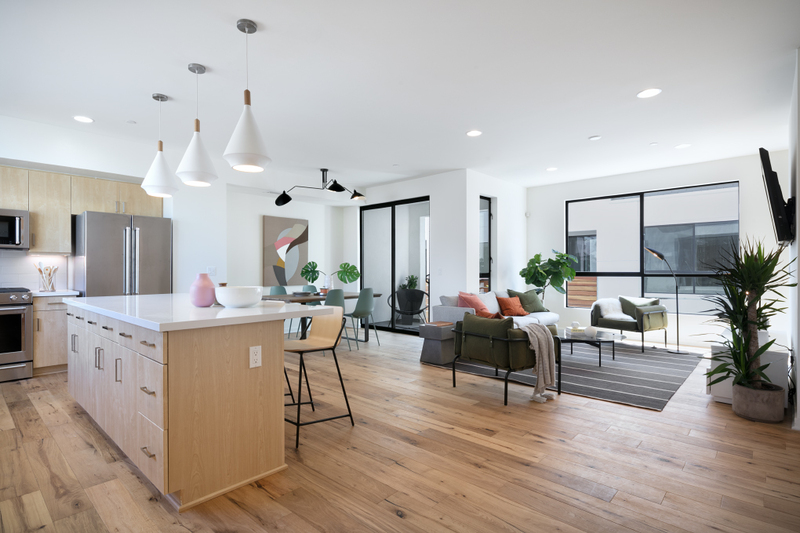 An added bonus is the contemporary style and design that comes with new construction – designed for modern living, these homes often offer the open layout flow that complements contemporary lifestyle in the best way. Intrigued by the benefits of living in a newly constructed home? Keep reading to learn about our newest communities in North Hollywood, Palmea and Morrison 14! And head here to learn more about the other new homes we represent in Valley Glen and Eagle Rock. Offering lots of space, stunning design and an earth-friendly small footprint, Palmea is modern living without compromise. Designed and built with pride by Planet Home Living. Newly built by WCH Communities. Contemporary architecture on a residential street, just minutes away from coffee shops, hot spots and cultural happenings in the heart of the NoHoArts District. The structurally-independent, transit-oriented home has three levels of living space plus a private roof deck. The second level combines the living, dining and gourmet kitchen which is filled with natural light. Carefully-curated finishes include oak plank flooring, custom tile work and designer fixtures. Find expansive views of city lights, sunsets and mountains on the stunning roof deck. 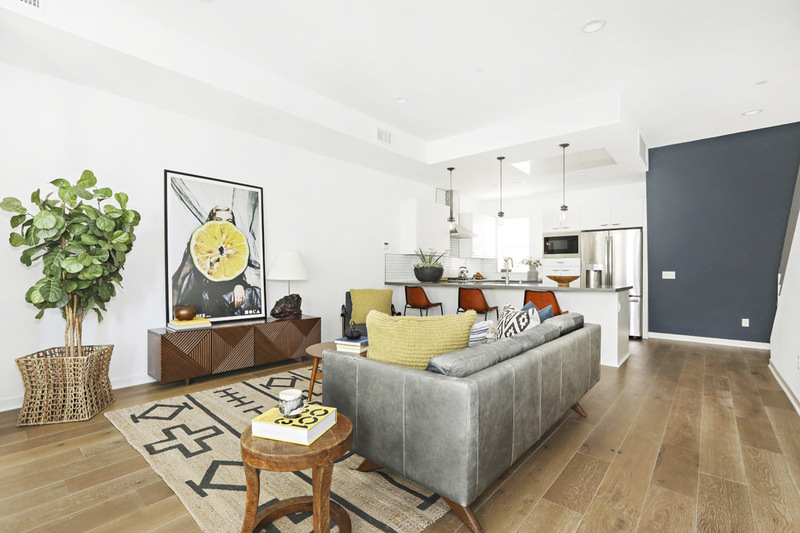 This eco-friendly residence features state-of-the-art green technologies and is located around the corner from Joe Coffee, DogHaus, Idle Hour, Federal Bar, TeaPop, the Laemmle NoHo, a weekly Farmers Market and more. Prime location just a few blocks from The Metro Red Line.